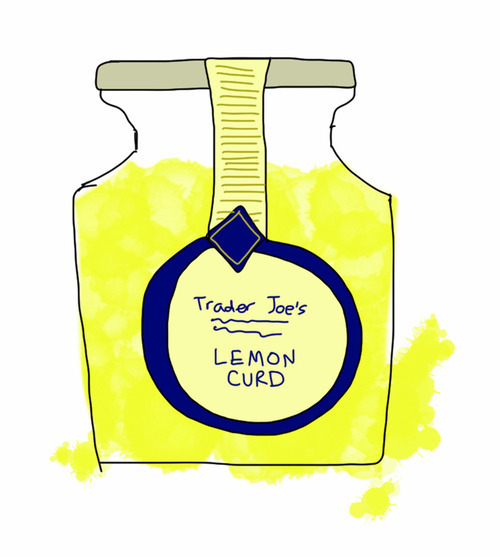 Trader Joe’s Lemon Curd isn’t expensive, but it tastes like it is. When I have people over for breakfast I like to say, here’s the regular jam, and if you want something fancy, here’s some lemon curd. I use Trader Joe’s Lemon Curd to make this secretly easy cake that I make sometimes. I use Trader Joe’s Vanilla Bean Cake Mix, and I spread Trader Joe’s Lemon Curd between the layers, and I cover the cake in whipped cream made from Trader Joe’s Whipping Cream.